● Register and create an account with the online boutique to earn VIP reward points on your purchase. You may also receive 200 points as a welcome bonus. 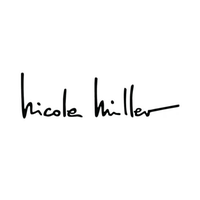 ● Refer you friends to the Nicole Miller online store – you can earn 500 VIP points ($50) for each one who signs up and makes a purchase. ● Get style inspirations via the Lookbook link on the drop down menu under the Collections tab. ● Save 30-70% on a wide selection of dresses and separates at the sale section. ● Store coupons generally offer percentage discounts on sitewide merchandise or category specific items. You’ll also find coupons offering dollar savings on a minimum qualifying order. High fashion is one of the many things that you can find on Nicole Miller's website. She has an extensive collection of casual and formal clothing for women that you can browse through. Most of the products that she has for sale are dresses though there are many separates and accessories as well. Nicole Miller's bridal collection is also accessible through her website. All of the clothes that she has created are inspired by modern architects and contemporary designs that she notices in her every day life. Be sure to take a look at the sale page to get discounts on items. For most up to date offers check out Nicole Miller on Facebook and Twitter or contact Nicole Miller Support for any questions.